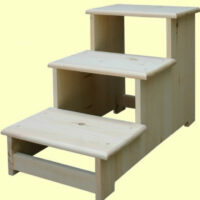 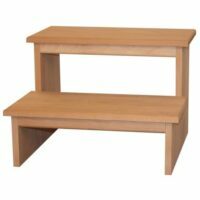 The Alder Shaker Step Stool is a must have in every home. 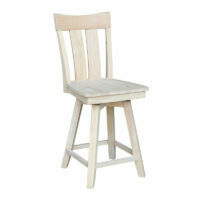 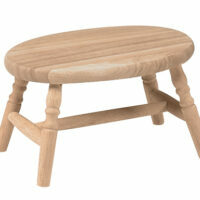 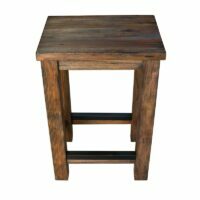 The all wood stool is made from American Alder wood with craftsmanship and timeless style. 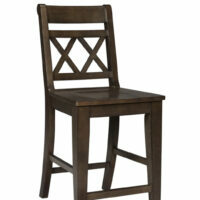 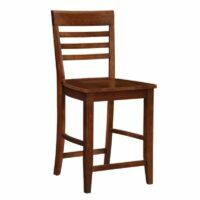 The Anacortes Counter Stool is crafted from solid mahogany wood, known for durability. 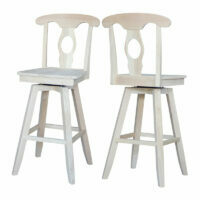 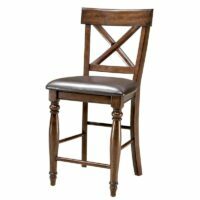 The Steambent Windsor Bar Stool and Counter Stools are a kitchen favorite. 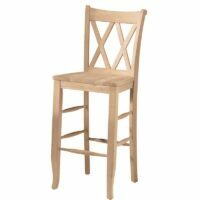 It's the the classic wooden bar stool and counter stool. 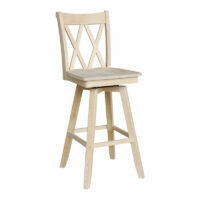 The hooped, steambent back and swivel seat make it a family favorite. 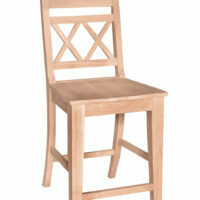 Choose your paint or stain finish and upholstered seating or a wood seat. 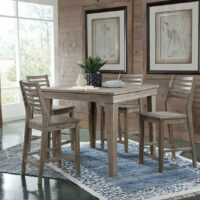 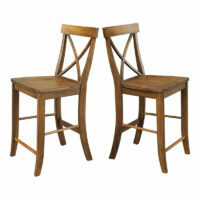 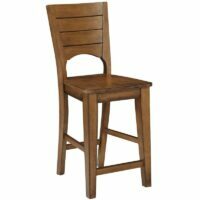 The Canyon Pecan Counter Height Stool is a big, beefy chair with a solid curved back. 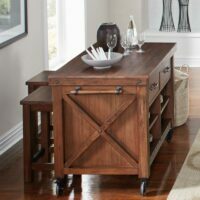 It’s part of the John Thomas Canyon Collection. 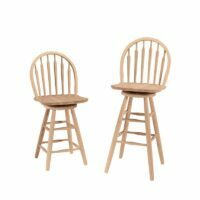 The Copenhagen Swivel Bar stool and Swivel Counter Stool is made of hardwood for strength and durability. 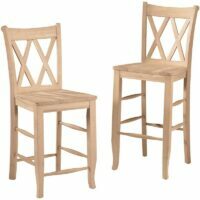 They have a traditional style and best of all? 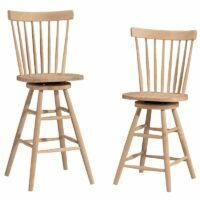 They swivel! 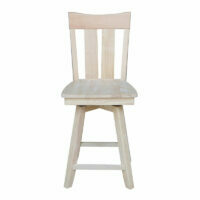 Choose paint or stain finish or unfinished. 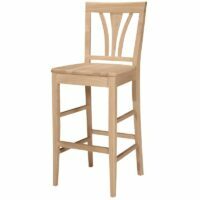 The Double X Back Bar Stool and Counter Stool takes a traditional design and gives it a contemporary edge, making it ready for any room. 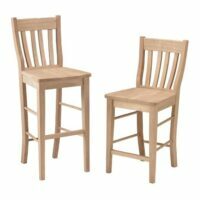 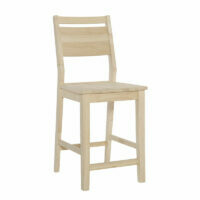 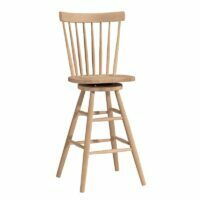 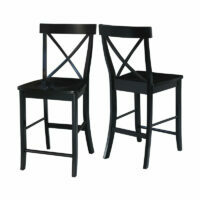 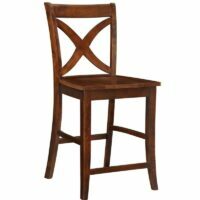 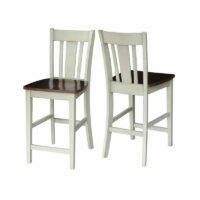 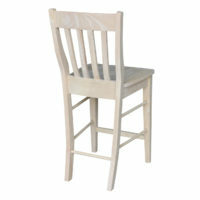 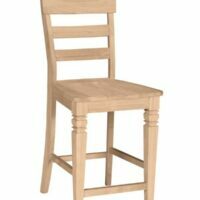 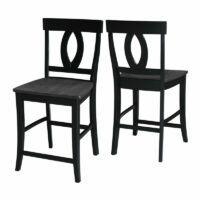 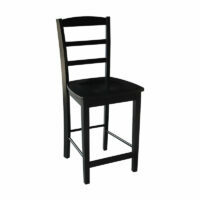 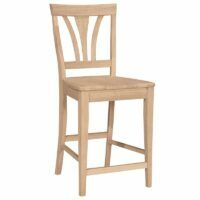 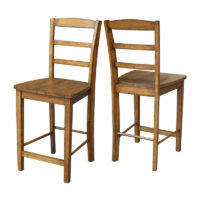 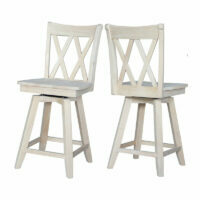 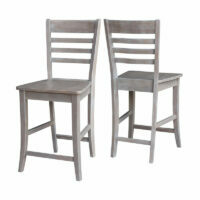 Looking for bar chairs with backs or counter stools with backs? 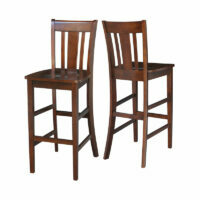 Design your own all wood Fan Back Bar Stool or Fan Back Counter Stool. 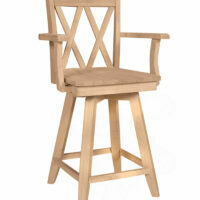 Choose finish and upholstery seat options. 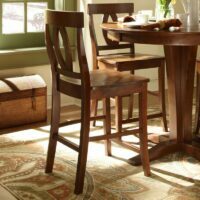 The Whitewood Java Counter Stool is made of solid Parawood and comes with a wood seat or your choice of 12 upholstery styles. The Cosmopolitan Verona Counter Stool has a decorate supportive back and a slightly carved wood seat for comfort. 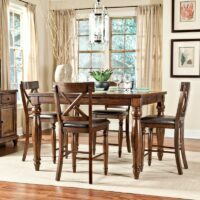 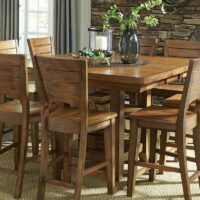 The seat height is 24 inches which makes it a perfect choice for the counter height dining table and high dining tables like the Verona Pub Table. 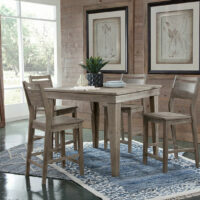 Choose from four John Thomas Cosmopolitan Collection finishes. 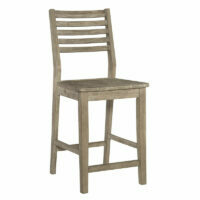 The Kingston Counter Stool has a rich, plantation style design with large turned legs.